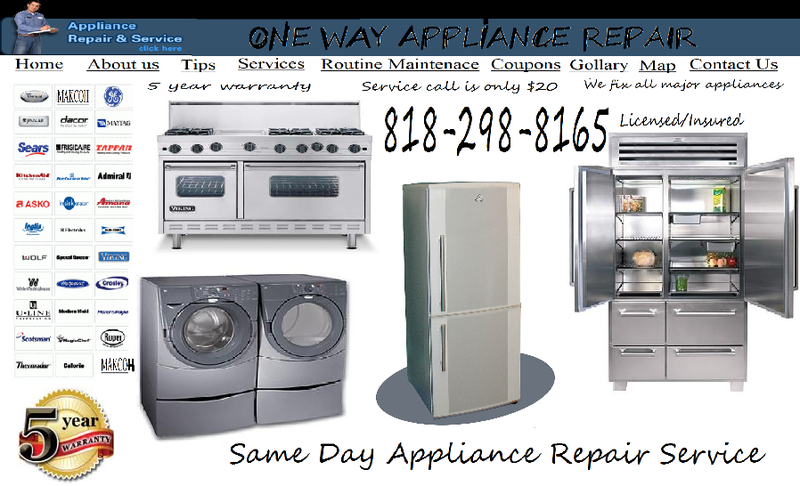 Now we provide same day quality appliance repair and service in Pasadena and surrounding ares. We are family owned and operated company, that is why we always stay behind our work and we guarantee our work with not only our word but also a written Invoice with our 1year guarantee on parts and 30 day labor guarantee. We started with just 2 guys now we have over 12 technicians plus 4 dispatchers so we always provide same day service with quality result, in pasadena we one of the most respectful and trustful companies. We do not take advantage of our customers, we understand hard times in economy , that why we only charge $20 service call and it's free service call with repair. Dedicated Local Appliance Repair company, we provide appliance repair on following brands ( Sub-Zero | Thermador | VIKING | LG | GE | Whirlpool | Frigidare | Maytag | Amana | Hot-Point) and we fix following Appliances ( Refrigerators | Washers | Dryers | Ovens | Stoves | Air Conditioning | Commercial Refrigeration | Walk-in Cooler repair ) We service Los Angeles and Pasadena since 2008 I know that it does not sound that we might have enough experience to be qualified to fix your major appliances, but there is no need to worry because in our company we have technicians that have over 25 years experience in appliance repair industry, our proffasional team always goes to school to get more education on new appliances with computer boards, it's actually easier to to work on newer models because you can always put the washer in self diagnose mode and it will tell you exactly what the problem is for example if it's a washer whirlpool it might give you error code like F35 or SUD .